Are you sufficiently worried about superbugs? Unless tackled, the rise of AntiMicrobial Resistance (AMR) will, by 2050 (see page 6), be killing more people than cancer, and current methods of food production will be untenable. However, action to prevent this needs to start now, and requires a strategy that extends beyond finding funds and using them through our existing funding models. The 21st century is very different to the time when antibiotics first entered healthcare. There are greater expectations in outcomes (e.g. from childbirth and cancer (see page 13) to catheterization and glue ear); and new procedures that are reliant on antimicrobials (e.g. transplants). AMR is fuelled by the ~300% increase in global population (which contains huge variances in the quality of healthcare, animal husbandry and the care with which we use antibiotics), and vast migrations (from routine air travel, to responses to crises). The challenges to preserving current healthcare and food production are very great, and the challenge of expanding provision to underprivileged regions is enormous. behaviour of the public, prescribers, retailers and food producers will change from current levels of antimicrobial guardianship (see page 6) to a sustainably responsible level. Should we have a dedicated parallel plan resourced for a future where the steps to proper guardianship were implemented too late, with insufficient effectiveness or global coverage, and where any new antibiotic replacements were only a stopgap against their own imminent resistance issues? That is to say, should we plan for a world without antibiotics? Even if future antibiotics are available, they will be restricted to a far narrower set of interventions than currently, and resistance to them will be delayed by making use of discoveries put in place to prepare us for a world without antibiotics. If so, a policy change might be required, to balance the optimistic view of sponsors in providing large grants for ‘the game-changing potential of advances in genetics, genomics and computer science’ (see page 14), rather than allocating a budget for a primordial soup of highly adventurous ideas and cross-disciplinary collaborations that are too novel for us to describe with any precision in calls or proposals? Is it simpler to support multi-million pound projects with chemists and microbiologists (with traditional established routes to market via big pharma - see page 1), rather than administer the exploration of a plethora of high-risk, low-cost methods for which the route-to-market has yet to be established e.g. the infection prevention that partially worked in wards and battlefields before antibiotics, or might be more readily available for rural medicine? I urge us to ask if we are acting in too optimistic a fashion regarding the forthcoming AMR apocalypse, and so are adapting our current research and impact strategy rather than revolutionizing it. The ingenuity in how to spend global funds must exceed that required to set those funds aside. AMR covers all UK research councils and many government departments (see page 71), which reflects its seriousness. But with so much of AMR out-of-remit for a given body, and in the remit of another, we lack a joined-up approach that brings together networks of researchers and impact-generators (e.g. industry, NGOs) who collaborate because they tackle a common problem, regardless of their own topic of expertise. This differs from the traditional way of establishing research groups based on commonality of topic and facilities. allow fundamental research, translation, and outreach to be seamlessly joined into programmes that span as many disciplines and Technology Readiness Levels (TRLs) as AMR does. Public education in AMR must be a coordinated priority (see page 1), not an addenda to a plethora of separate research projects. Projects that plan to conduct fundamental research with an industry who will then manufacture should not be out-of-bounds because funding agencies have remits to cover only a subset of the TRL spectrum: we need such projects, because AMR grows so quickly as to leave the traditional route of publishing research, and passively expecting others to discover that publication and make all the impact from it, too slow. 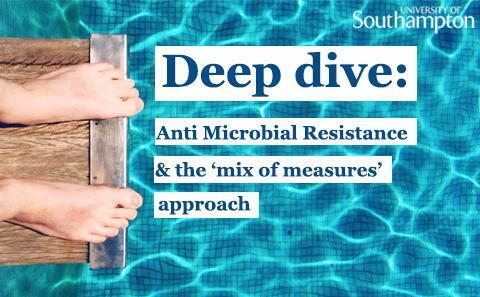 In the popular view, AMR is a healthcare issue, with a smaller number of people aware of the use of antibiotics in intensive farming. However AMR cannot be so easily pigeonholed, and our policymakers and research-and-translation organizations should not operate as if it can, because AMR seamlessly crosses boundaries and profoundly affects unexpected areas of life. As an example, on 25 November 2016 NAMRIP (the Network for AntiMicrobial Resistance and Infection Prevention) will co-host with the Food Standards Agency at the FSA headquarters in London, a meeting entitled ‘Food Retailers, Supply Chains and the Anti-microbial Resistance Challenge’ (sponsored by ESRC, EPSRC, FSA and NAMRIP). It will explore how the retail sector affects the rise and spread of AMR, and how it must respond to minimize its contributions to this growing crisis, and the consequences to it of AMR. AMR will not be eliminated from the world, and the question is how we mitigate its affects, and invest to maximize those mitigations. Timothy is a Professor of Ultrasonics and Underwater Acoustics withing Engineering and the Environment at the University of Southampton, UK. He is the founding Chairman of the University Strategic Research Group NAMRIP (Network for Anti-Microbial Resistance and Infection Prevention) and founding Chairman of HEFUA (Health Effects of Ultrasound in Air). 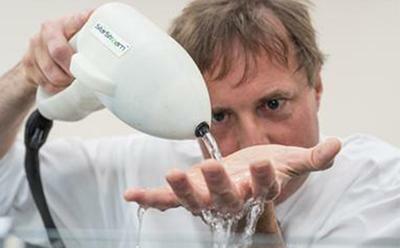 Learn more about StarStream: an invention that cleans with low volumes of cold water and few (or no) additives and watch the video below. 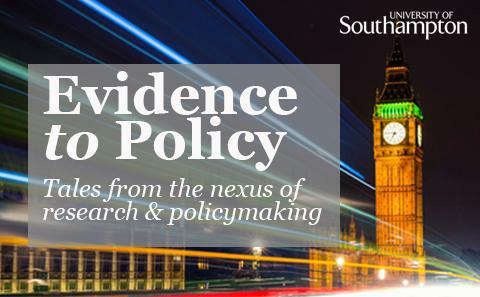 If you are a University of Southampton researcher and would like to share your experience of evidence-based policy making please read the blog guidance notes below and email your submission to Public Policy|Southampton. Can't wait for the next edition? Subscribe below to receive new editions of Evidence to Policy straight to your inbox to read at time which is good for you. Deep dive into the primordial soup of ideas needed to tackle Anti Microbial Resistance with Professor Timothy Leighton, Chair of NAMRIP. Read more from the Evidence to Policy blog. 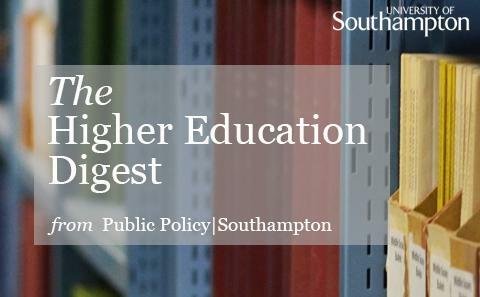 Catch up with changes to policy and funding in the Higher Education sector.